Snow Leopard to fight viruses? Will Macs be safer than ever from Friday? 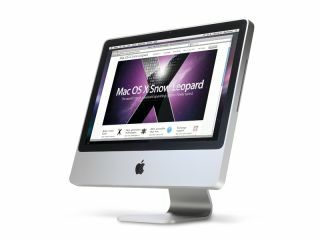 A Mac security blog today raised the possibility that Friday's Snow Leopard upgrade to OS X may include anti-virus features. The Mac Security Blog showed a screenshot of a dialogue box that appears to show Snow Leopard intercepting malware. The blog, published by Intego, a software company specialising in security programmes for the Mac, says the screenshot shows Snow Leopard detecting a Trojan downloaded via Safari. Macs do not attract as many viruses or spyware as Windows computers, although security software companies never tire of highlighting threats that do target Apple's hardware. How they will respond to AV built in to Apple's newest operating system remains to be seen. The main reason for the Snow Leopard upgrade, according to Apple, are the performance increases it offers. Email messages should load twice as fast, while Time Machine back-ups get an 80 per cent speed boost. The 64-bit version of Snow Leopard will double its speed - all in a package that should free up about 7GB of memory. The upgrade, avaIlable online or in stores from Friday, costs £25 for a single-user license or £39 for a five-user Family Pack for those of you with multiple Airs and Minis.